Anyone who is or ever has been serious about gaming will tell you that whilst there have been many fine titles knocking about through the years, every now and again, one comes along that is different...and it grabs you in such a way that it never lets go and you never forget it. 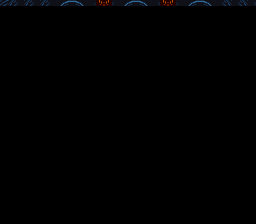 For many people, this game may be a touch obscure so let me lay some background down. 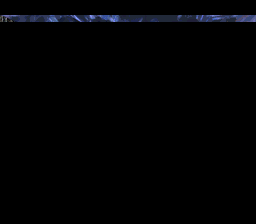 A brief warning though, the following text will discuss the game's plot and be potentially ruinous for anyone yet to play through it. It will also probably get a bit mushy...but what can you do? Ok, the formula for a successful role playing game is not a difficult one: charismatic lead character(s), involving story, interesting none player characters (NPCs), memorable music and many hours of game play...that's it, it doesn't even need to have particularly brilliant graphics (though obviously, it's beneficial). Think of Earthbound as the perfect example of this. Action RPGs (or ARPGs) are even easier to strike gold with, because unlike their turn based, menu driven brethren, they don't even need to rely on burdensome and complex storylines, a fine example of this being the timeless Legend of Zelda III. So, not too difficult then. Never the less, the ARPG genre has still managed to inflict upon us some of the most humdrum tripe in video game history. The likes of Lagoon, Lord of the Rings (every version of it) and The Warriors of Might and Magic are all timely reminders of just how wrong things can go if the formula is not adhered to. Luckily, during the development of Terranigma, there was no chance Quintet and Enix would dare drop the ball. This was due (in no small part) to the fact that Terranigma was the final instalment in the much celebrated 'Soul Blazer Trilogy', succeeding Soul Blazer and Illusion of Gaia. Whilst these three games are not directly linked to one another, it is evident that they share a common bloodline and heritage. 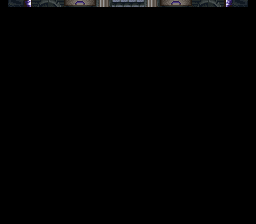 As with both Soul Blazer and Illusion of Gaia, the mantra adopted during the development of Terranigma was unique, the intricately woven story just as integral as the epic action, and in true Quintet style, both come together seamlessly to produce stunning results. The plot has such depth and intensity in fact that it comfortably surpassed many offerings from the established 'proper' RPG series, such as Capcom's Breath of Fire, Sega's Phantasy Star and even Square's Romancing Saga. 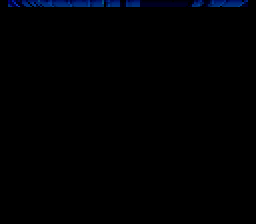 By the time Terranigma was released, the hallowed SNES was nearing the end of it's life span, and in order to give the trilogy the send off it deserved, the proverbial boat was pushed out...far. Boasting a 32mb cart (surpassed in size only by Namco's Tales of Phantasia) Terranigma pushed the system to it's limits, demonstrating just what that little grey box could do in the hands of genuine miracle workers. 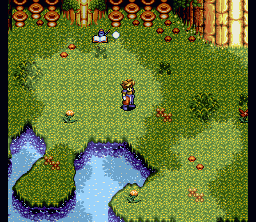 Showcasing some of the most impressive visuals and music the 16bit era had ever produced, Terranigma also managed to put many PSX, Saturn and indeed N64 games to shame. Onto the game itself then, and sometimes it's clear within 30 seconds or so of just turning a game on that it's going to be a bit special...Terranigma certainly belongs in this category. The introduction sequence tells of a foreboding tale, about how the two opposing wills of the planet (light and dark) were locked in a raging and never ending battle, and how they were eventually to become known as 'god' and 'devil'. And although, the will of the lightside enabled the evolution of life and rapid technological progress, the will of the darkside bred constant disharmony and fear. This cycle of rise and decline continued until the culmination of the age old battle, which subsequently wiped out all life on the surface and even sunk the continents. These scenes, accompanied by a glorious musical score, give the player a brief glimpse into the colossal tale that is about to begin. Our epic saga actually begins, strangely enough, on the inside of the planet (and actually in a fairly standard way), in a small village called Crysta. You take control of Ark, an adolescent boy with a penchant for mischief (albeit the lovable kind). He sports the obligatory RPG spiky hair and outlandish threads and spends his days idly causing trouble for the village’s inhabitants. 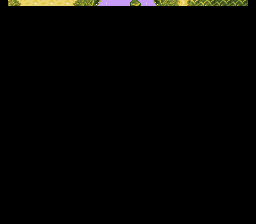 I must mention at this point that Crysta has, without doubt the most wonderful theme music of any RPG village...honestly, go have a listen. Anyways, Ark's mischief making and curiosity eventually leads him to open the village's archetypal forbidden door, freeing a strange pink blob like creature (called Yomi) and mysteriously freezing the entire population with the exception of Ark and the village Elder...Pandora's box is now open. What happens from this point on propels Terranigma onto a level that most game designers don’t even know exists...it's honestly that good. Armed with nothing more than a spear and a magic box, Ark must leave his home and embark on an epic quest that will not only restore life to his friends but eventually to whole world. After moseying about the underworld for a bit (which has one of the most epic map themes ever by the way), Ark then journeys to the surface to begin the daunting task of resurrecting all life on earth. It's worth me mentioning at this point, that Terranigma never received a release in North America. I think the official reason given was that Enix had shut it's offices there in 1995 due to dwindling sales and so there was no one to publish it...however, when it came to Europe, Australia and New Zealand, Nintendo actually published the game themselves. This brings us to the real reason for a lack of US release: the content of the story. 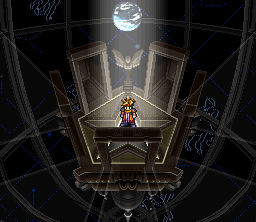 Terranigma's plot covers issues such as religion, reincarnation and the resurrection of life, gods and demons. As we all know, this kind of subject matter never goes down well in the US, hence Nintendo's understandable reluctance to publish it in the territory. Now far be it from me to preach to anyone about what they should believe in, but I find it a genuine travesty that so many gamers will have missed out this masterpiece, and mostly because of a stubborn and unwavering belief in something as archaic and broken as Christianity. Rant over. When you arrive at the surface you're greeted by a barren, red wasteland (think Mars from Total Recall), and the scale of the task in hand is revealed. After resurrecting the Ra tree (the giver of life to plants, trees and all things horticultural), the world is once again carpeted in the glorious green of life (at this point it also gains what is the most epic of map themes), and it really exemplifies the contrast between the surface and the underworld...the lush greenery and vibrant life is certainly a far cry from the frozen tundra and rivers of magma that surround Crysta. You then proceed with the resurrection of birds and animals, and Ark has the really neat ability to speak with all living creatures (even down to the plants! ), along the way this capacity sparks some genuinely amazing scenes. For instance, because there are no humans about yet, Ark must make use of the birds to get from continent to continent. This means we are treated to a wonderfully sweeping mode 7 map complete with Ark being carried half way around the world by a seagull! You must also accompany the future king of beasts (Leim the Lion) while he attempts to pass a trial that will prove he is worthy of his soon to be inherited mantle...small touches like this actually make you care about the NPCs that you encounter during the game, and what happens to them later on. The resurrection of humans is next on the agenda, and this is where the story really opens up. You have the ability to (literally) shape the course of human evolution...a bit like a god, no? Travelling around the world (to real countries and continents no less), and nudging the humans in the right direction by assisting the greatest minds and personalities (such as Alexander Graham Bell, Thomas Edison, Henri Matisse and Sven Hedin), Ark's mission is to push the fledgling human society to achieve further growth and prosperity. Get directly involved in the development of ground breaking technologies such as the camera, the telephone and the aeroplane! Obviously as the human race progresses, the effect it has on the world around it is profound (just as in reality), and this is shown in the game's strong sense of conscience. For example, if you assist the town of Sun Coast with it's quest for expansion and thus greater tourism, you will then find then find a zoo that has become home to all the wild animals that you once befriended (including a certain king of beasts). Because the growth of the city and the thirst for greater exposure has taken the animals' natural habitats away from them, they are now forced to live in captivity...a young child even remarks that they look "sad" (heartbreaking I know). You actually have to weigh up the consequences your actions will cause, do you aid human evolution (benefiting you also, in terms of supplies etc) and help them to achieve their goals, or do you ensure the freedom of the creatures that you once called friends and comrades? This plethora of moral decisions made Terranigma truly revolutionary amongst it's peers. After all this has taken place, there are then some fairly shocking events and revelations which edge the world back toward disaster once again. The true identity of both Ark and the evil that threatens the earth once again is revealed...but I won't spoil that for anyone. It's something that has to be experienced first hand. The issues raised and discussed in Terranigma always fascinated me, and are made all the more impressive when you consider that Final Fantasy VI, Square's 1994 flagship SNES title (from a series known for it's unrivalled story lines) was lauded at the time of it's release for broaching subject matter such as (amongst others) teenage pregnancy, genocide and slavery. If we take a look at some of the topics covered in Terranigma, a 'mere' ARPG, we find: life and death, ecology, love, grief, betrayal, politics, economics, sacrifice, religion, rebirth and insanity. To me, this was truly staggering, and the emotions that such content can produce are frankly remarkable, especially when you consider that it was all done back in 1995. This kind of thinking was actually a common theme amongst Quintet/Enix offerings at the time (though usually to a lesser extent), and the often harrowing scenes depicting the eternal struggle between the light and the dark, won both companies an army of die-hard fans along the way. In fact it is a point of view not disimilar to that found in many films by Studio Ghibli, insofact that the characters are never just black and white (take note Disney). The protagonist will often also harbour a darker side to them and vice-versa for the antagonist, this is an attempt at paralleling real life, and one which struck a cord with many gamers. I genuinely struggle to translate my love for this game into mere words, there are so many parts of it that leave me completely speechless. 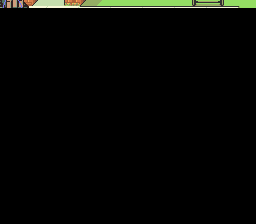 From the vibrancy of Evergreen with it's enchanting soundtrack (a place that I tend to stay in for hours) to that final day in Crysta, which has to be the most bitter-sweet moment in gaming that I can think of...with what is by far the sweetest music of the entire game (if not of any SNES RPG). 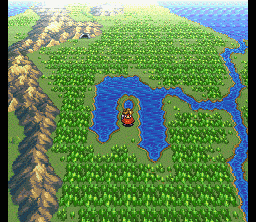 I defy any gamer to play Terranigma and not be at least slightly moved by it's emotional majesty. The afore mentioned final day in Crysta is one of those rare moments in gaming that you simply do not want to end. And for me it is up there with the death of Aerith (Final Fantasy VII) and the resurrection of Gremio (Suikoden) as one of gaming's biggest 'lump in the throat' moments. 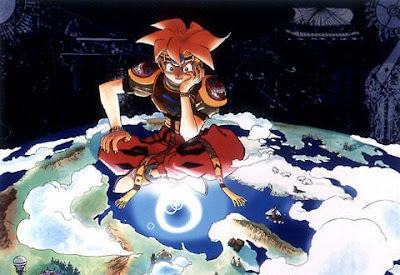 And so, even after all this written meandering, I've only barely scratched the surface of what Terranigma really is...and it must surely go down as one of the greatest RPGs of all time. The biggest tragedy when I look back is that it was never experienced by more...but then I guess that makes the lucky ones (me included) even luckier. Given it's lack of release Stateside, and that it performed poorly in the rest of the English speaking world, Terranigma is now considered to be very rare. I've seen complete examples push £150 on auction sites, so it is a pricey investment...however, once again, I implore those who can to go and get a copy. For everyone who can't drop that kind of money, I would advise turning to the emulation community for help, it may be a more nefarious way of experiencing this game, but trust me, it'll be totally worth it. It is no understatement to say that this game did for the action RPG what Final Fantasy VI and VII did for the traditional RPG...and you can't say fairer than that. Good luck with the resurrection of the world.